Green tour Kyoto | travel information in JAPAN » Blog Archive » Salmon! Salmon! What do you think the photo above is? 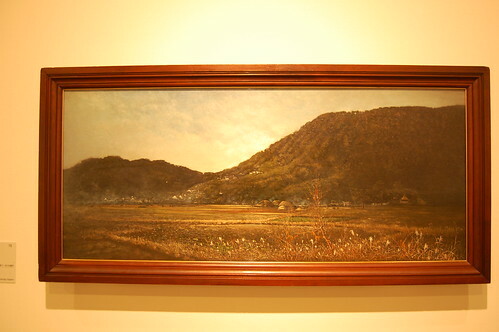 This is a painting which was painted about 150 years ago and is popular for Japanese people because the photo of this painting is appeared in the art textbook of Japanese high school. 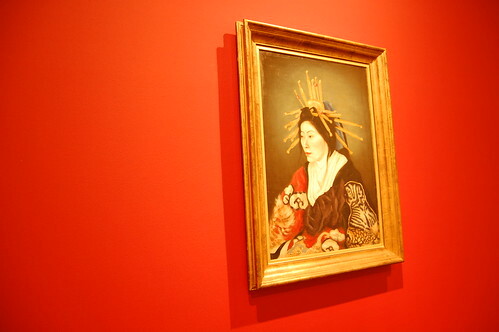 I went to the museum today to see this exhibition before the public opening. I had very nice time to see the original paintings by Yuichi TAKAHASHI. 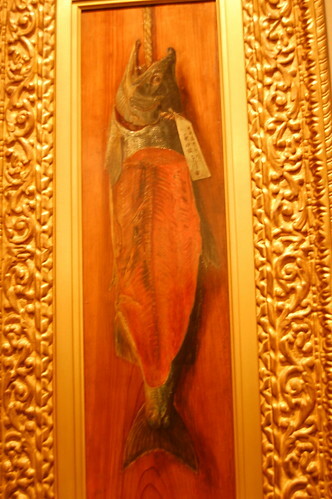 The original “Salmon” was , of course, very different from the textbook of my school days. 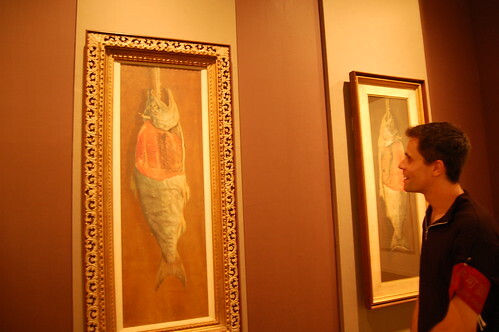 The original was powerful, dynamic, very real and a little scare..
Of course, his paintings are not only fishes! 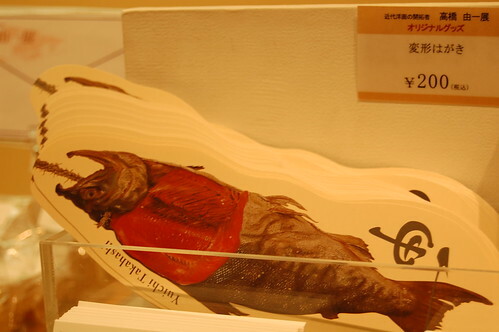 But you will find many salmons again at the museum shop of the museum. 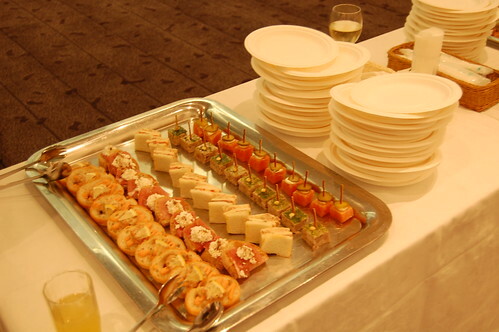 And canape with salmon was served at today’s reception party. yummy yummy!! My afternoon today was all about salmon! !